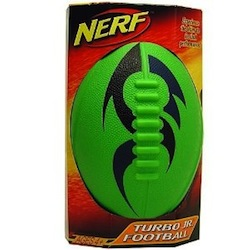 NERF football has captured the hearts and minds of young ones for years. This new Turbo Jr Football has a sleek design for hours of football fun. Lightweight and easy for even the youngest of players to throw and have fun.